SEBRING, Fla. /Florida Newswire/ — IMSA Properties and Shaner Hotel Group announced today that the Chateau Elan Hotel and Conference Center is currently undergoing rebranding and will be operating as, “Seven – Sebring Raceway Hotel” by March 2019. This rebranding will come just in time for guests and fans as they descend on central Florida for what promises to be an unforgettable weekend as IMSA and the World Endurance Championship (WEC) run world-class sports car races on consecutive days at the iconic circuit March 13-15. “As an independent property, the importance of the rebrand was necessary for us to showcase the property’s individuality. The brand makeover enables us to pay homage to the property’s history, allowing guests to truly experience the property’s racing background,” explained Rick Humphrey, Vice President IMSA Properties. The new brand look celebrates the hotel’s motorsport roots, as well as its high-speed future. With automotive highlights throughout its newly renovated spaces, the overall design is comfortable, yet classy. The hotel will be the ideal destination for guests looking for a genuine automotive adventure at a facility that is full of motorsports history. “Whether a guest is here to race or to relax, Seven’s lively and sophisticated vibes will provide the perfect backdrop for ‘story-worthy’ experiences our guests crave,” said Brian Hockenbury, Senior Vice President of Operations-Full Service/Resort at Shaner Hotel Group. The name, “Seven” is inspired by where it is situated on the Sebring International Raceway circuit – Turn 7. Like a dependable friend, guests can and will always turn to Seven. The hotel will continue to be its guests’ second home as they return year after year. Seven will feature 123 rooms, two restaurants (APEX and Sunrise at 7), a full-service bar, indoor/outdoor event space, a swimming pool, direct race track access, a fitness center and in-room dining. The property will continue to be owned by IMSA Holdings and managed by Shaner Hotel Group, one of the hospitality industry’s leading owner-operators of full- and select-service hotels. As a trusted, quality brand, Shaner Hotel Group will continue to uphold its distinct character while providing guests award-winning customer service, operational and marketing resources. Shaner Hotel Group is one of the foremost owner-operator companies in the hospitality industry with more than 50 hotel properties owned and managed across the U.S., Italy and the Bahamas. New properties are constantly evaluated as the Shaner Hotel Group continues a conservative, yet opportunistic approach to growth. Shaner is an approved management company and franchisee of Marriott International, Inc., Hilton Hotels Corporation, Intercontinental Hotels Group and Choice Hotels. For more information about the company and its divisions visit: https://www.shanercorp.com/. IMSA Properties consists of two of North America’s premier road courses Michelin Raceway Road Atlanta and Sebring International Raceway, as well as the newly rebranded Seven – Sebring Raceway Hotel. Michelin Raceway Road Atlanta is a multi-purpose motorsports facility situated on 750 park-like acres in the rolling hills of Northeast Georgia, while Sebring International Raceway is located in Sebring, Florida and is North America’s oldest sports car racing facility. Both circuits host endurance races for the IMSA WeatherTech SportsCar Championship, the premier sports car racing series in North America. The 123-room Seven – Sebring Raceway Hotel (formally known as the Chateau Elan Hotel & Conference Center) is located on the legendary hairpin turn at Sebring International Raceway and includes trackside viewing and conference meeting space, making the hotel the perfect place for a stop in Central Florida. 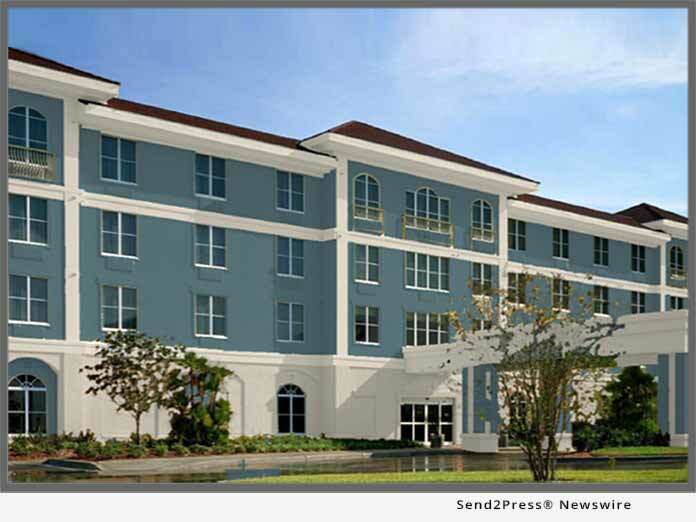 The post Chateau Elan Hotel & Conference Center in Florida Rebrands Itself as, ‘Seven – Sebring Raceway Hotel’ appeared first on Florida Newswire.